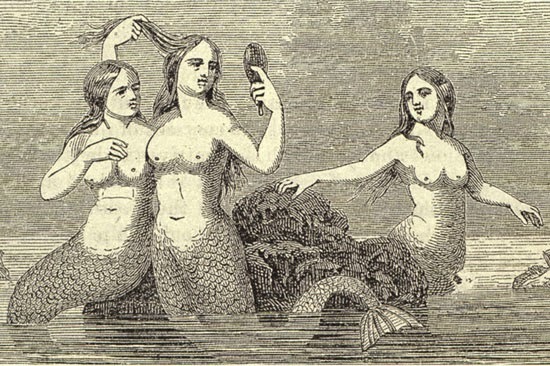 Today let’s give a little love to New York original mermaid queen — the hideous Fiji (Fejee) Mermaid! 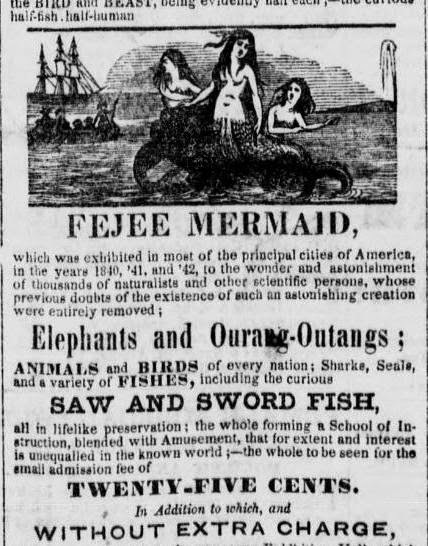 This sickening Frankenstein monster — comprising a monkey’s head sewn onto a fish torso — was displayed in PT Barnum’s American Museum off and on for almost twenty years. Believe it or not, Barnum actually leased it from an owner who had bought it off of sailors. It’s actual connection to the Fiji Islands remains tenuous at best. This was classic Barnum bait-and-switch. In fact, he relied on the artifact’s somewhat disappointing appearance to give it a bit of authenticity. See, why would I fake something that looked like this? was the implication. The mermaid first arrived in New York in November 1842 after a smash debut in Boston,”where her ladyship [referring to the mermaid] has astonished thousands of visitors.” Thousands flocked to Barnum’s display at a space called Concert Hall (at 404 Broadway) to take in a glimpse of this bizarre creature. 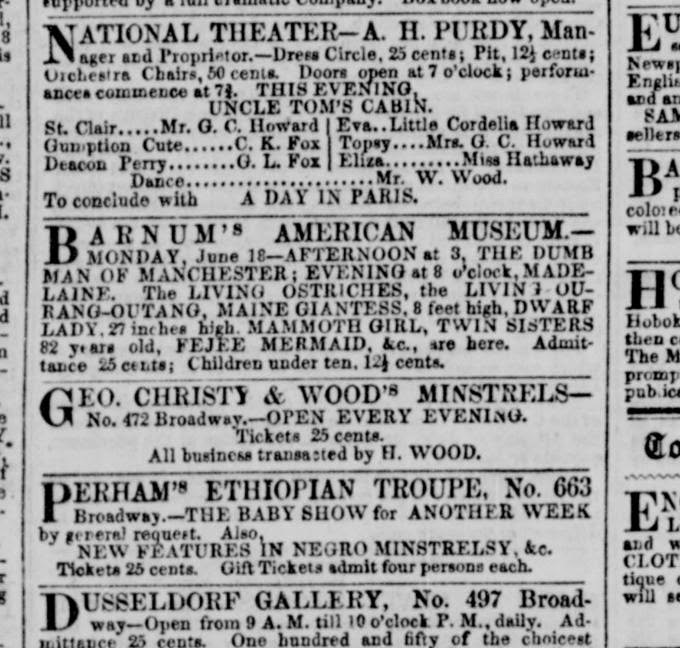 In its first week at the American Museum, Barnum raked in three times his average revenue. And she lives on in our hearts. How can you resist a face like that? 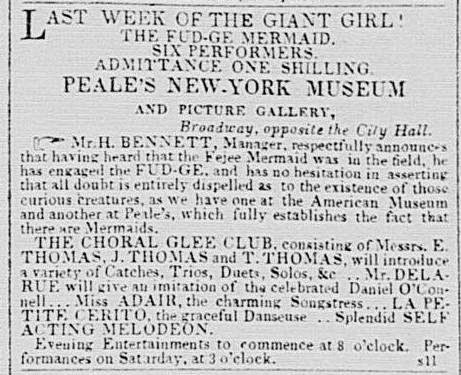 Top image courtesy the Lost Museum (CUNY), an excellent online resource about Barnum’s American Museum.